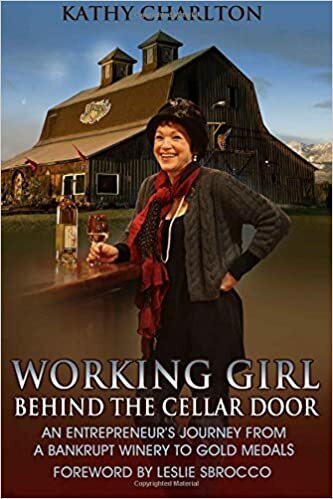 Working Girl: Sasquatch at Olympic Cellars? What does a Sasquatch have to do with Wine Tasting ? The Olympic Peninsula Wineries Harvest Wine Tour will take place November 10 and 11, Veterans Day Weekend, from 11 a.m. – 5 p.m., and Olympic Cellars has a lot of fun in store, including of course wine tasting of a wide selection of our wines. New wine releases include the popular holiday Cranberry Jubilee which sells out each year. We are also releasing our Merlot 2008 and Cabernet Franc 2008. Across the board, our 2008 red vintage is delicious, full-bodied and smooth. The Merlot is well balanced, with just the right amount of tannins. The flavors of bright red cherry and notes of vanilla and almond abound. The Cabernet Franc is extremely complex, full of dark berry, toasted aromatic wood, nutmeg and clove. Sample fall-hearty mushroom and local grain soup prepared by Chef Dave Long of Oven Spoonful. Hang out on our decorated patio and enjoy fresh popped truffle popcorn. Solve our winery word search and enter to win a fabulous wine purse. Take advantage of featured event wine specials. The Olympic Peninsula Wineries will each put their creative grape juices to the test at this year's annual Harvest Wine Tour, with each of us displaying our own artistic interpretation of the "Wine Scarecrow" for visitors to enjoy. Limited only by our imaginations, each winery will strive to design the most unique vineyard watchman ever to scare (or commune with) a pesky bird! Visitors can vote for their favorite scarecrow while tasting the best of the vintage. The $30.00 ticket for the self-guided tour can be purchased at participating wineries during the event. Tickets entitle participants to a commemorative wine glass and complimentary wine tastings at each winery during the event weekend. A tasting fee of $5.00 per winery will apply to non-ticketed visitors. Get your ticket stamped at all eight wineries and be eligible to enter our gift basket drawing. For more information or to purchase tickets online, visit www.olympicpeninsulawineries.org.